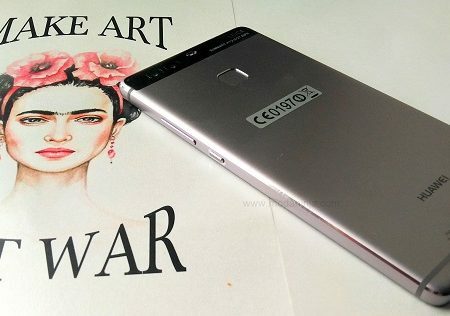 This post has been in the making for a year. I travelled to Pushkar in November 2016 and left with beautiful images and memories. Immediately after, I was hit by a writer’s block. I tried to articulate my experience of Pushkar, but was left feeling overwhelmed. 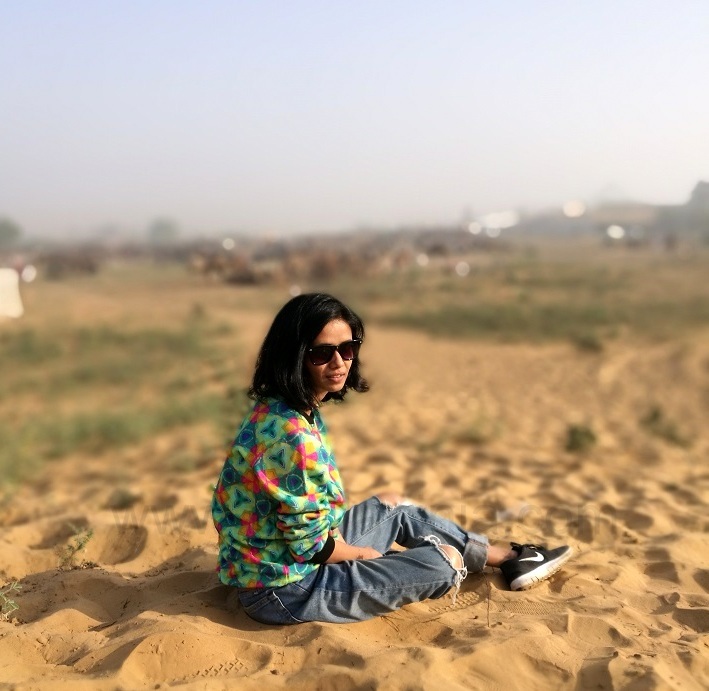 Seeing images of Pushkar fair this November inspired me to finish this post. One of the five pilgrimage sites in Hinduism, Pushkar gets its name from Pushkarni – Sanskrit for lake. , the only temple dedicated to Lord Brahma in India is in Pushkar and On Kartik Purnima, Hindu pilgrims gather in Pushkar to take a dip in the lake. They believe that on Full Moon day in November (called Karthik is the most auspicious month amongst all 12 Hindu months) Lord Brahma sprung up from the Pushkar Lake. Taking a dip on kartik Purnima will wash people of their sins. 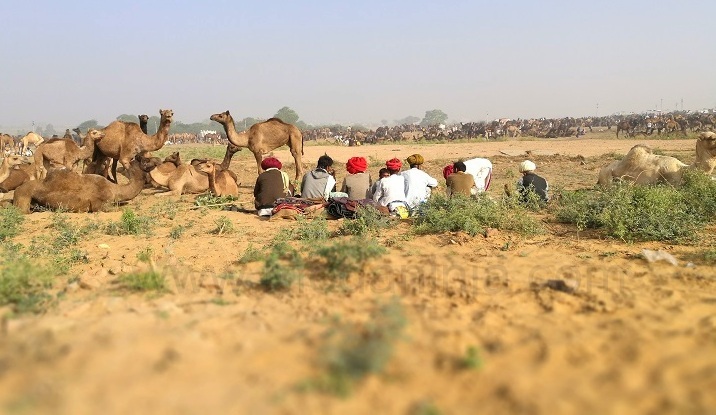 It coincides with the Pushkar Mela (fair), the world’s largest camel fair. Together, these two make this small sleepy town bustle with people and frenetic activities. 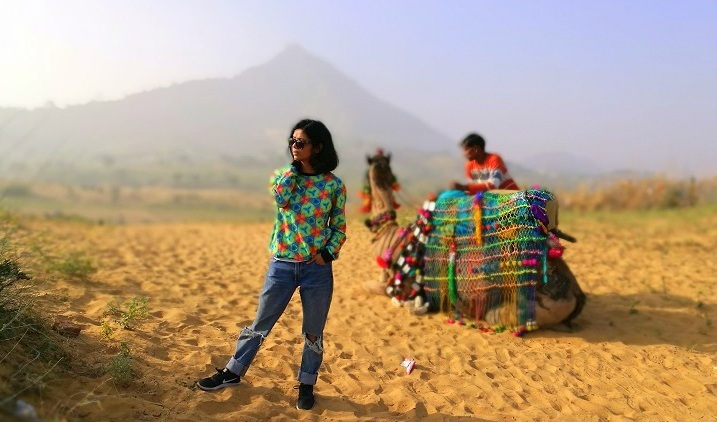 Once upon a time in Rajasthan, camels were an integral part of everyday life in a desert. The Pushkar Camel Fair continues to celebrate the camel’s place in Rajasthan and has become a tourist attraction. 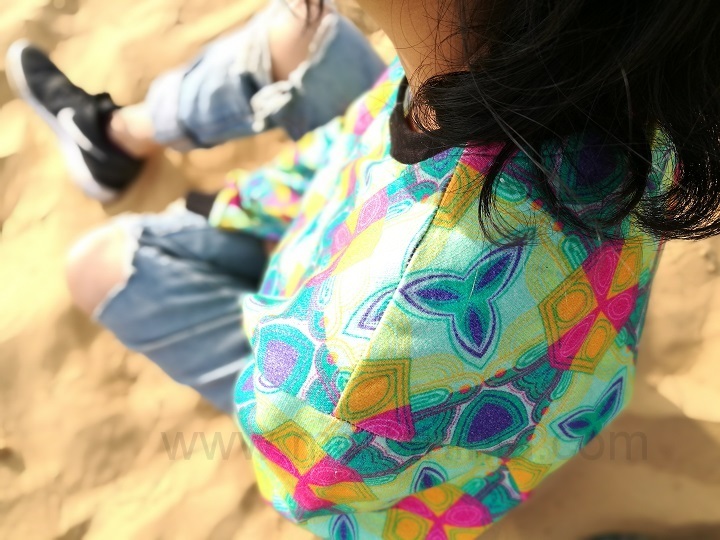 Pushkar, during the camel fair was a visual kaleidoscope of history, color and culture. 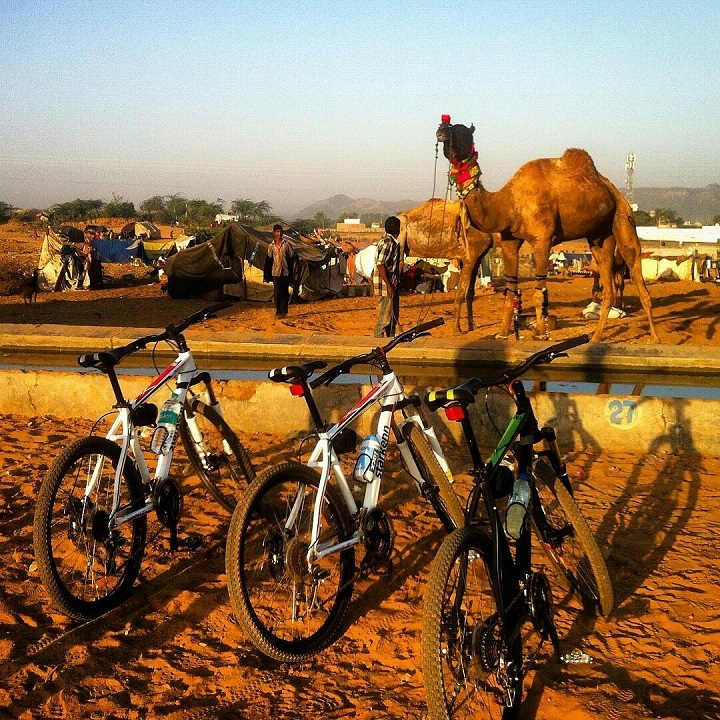 We went to the camel fair at sunrise on bicycles – a trip organized by ‘Let’s Trip’ an experiential travel company to explore Rajasthan on bicycle. A unique and fun experience exploring the sleepy town at dawn on bicycle as the camels walked in. The other thing I loved about Pushkar was the aarti (ceremony) at the ghat (a series of steps leading down to a body of water, particularly a holy river. ) in the morning and evening on full moon, Each ghat is decorated with diyas, flowers and rangoli and have aarti going on. It was so mesmerizing, I didn’t take out my phone even once to take a picture. Even a non-religious person like me found peace in the energy and spiritual aura of Pushkar ghat. Due to the tourist influx, Pushkar is like any other tourist town where people are trying to make money out of tourist. Taking picture of a local women or sadhu (religious god man) often doesn’t come free, you need to take permission and pay them. Most handicraft and wares as well as hotel are overpriced. We had unfortunately booked ourselves at Hotel Pink Floyd which is rated highly by people on Trip Advisor. Sadly, the booking was non-AC musty room with dirty linens and no window. Even though it had a cool terrace to hang and watch sunset that is all this place has to offer and we just had to move out with no refund We were fortunate to have friends in Rajasthan who helped use changed our reservation to a beautiful hotel called Gulaab Niwas a beautiful property with lawns,amazing rooftop view and swimming pool. A visit to Ajmer Dargah is a must when you go to Pushkar. It is Sufi shrine of Hazrat Khwaja Moinuddin Chishty in the city of Ajmer, and a place which moves you spiritually. It is old saying that people who visit Ajmer Sharif and pray with pure faith at the Dargah get their wishes fulfilled and it will free their soul. Even though I do not have fashion tips to talk about, I hope this was a good travel read.